On October 27, 2017, the National Archives released some 3800 heretofore unseen files related to the assassination of President John F. Kennedy on November 22, 1963. A second group of over 500 files was released on November 3, 2017. A third group of 13,213 files was released on November 9, 2017. In 1992, Congress passed the President John F. Kennedy Assassination Records Collection Act of 1992 (Public Law 102-526), which directed the National Archives to assemble a collection of all known government materials related to the assassination of President Kennedy. This included all known Federal, state and local records on the subject. There are over five million documents in the National Archives pertaining to the Kennedy assassination. You can buy copies of the documents for only $.80 each, which means a copy of the entire collection can be yours for a mere $4 million. Many of the documents have never been completely seen by anyone, largely due to them being heaviliy redacted (censored). Over 3600 documents had never been seen by the public at all. Some Federal agencies, most specifically the FBI and CIA, argued against the release of non-redacted documents. Some of the reasons for their argument were that real names of confidential informants could be made public, and/or intelligence gathering operations could be compromised. President Donald Trump overrode their arguments and the final documents were released on November 9th. The first release on October 29 consisted of 2891 documents. The second on November 3 included an additional 676 documents. A third release on November 9 released 13,213 more documents. The actual database entries, however, require looking at an astonishing 20,574 entries, spread over 412 pages of database. Many of the documents are duplicated in various places in the database. Some of the documents appear to be meaningless — a fax cover sheet without any attached document, or a document so badly faded it is impossible to read. Similarly, many documents reference reports that are not in the database. Perhaps they can be found elsewhere in the National Archives, but not online. The documents can be downloaded into an Excel spreadsheet, probably making them easier to manage and organize; however, the sheer size of a massive download such as this goes beyond the ability of any but the most completely dedicated researcher — a task beyond me. There is no rhyme nor reason to the database, other than it being loosely organized by agency (FBI, CIA, etc). It is not in sequential order, nor any other order I could ascertain. A document from 1963 might be followed by one from 1975, followed by another from 1964. 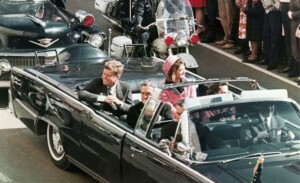 Some documents go back as far as 1945, and seem to present no relevence to the assassination or to Kennedy whatsoever. Some of the documents are absolutely non-related, such as one referring to a CIA employee taking a leave of absense to attend to her sick father. There are many seemingly unrelated files among these documents, including large FBI folders on Martin Luther King and interogations of Soviet defector Yuri Nosenko. The files are lengthy and include field agent reports and and allegations that seem unsubstantiated, such as one that reports that Martin Luther King had an affair with singer Joan Baez. These unrelated or periferially related files seem oddly placed in the Kennedy archives. If one were of a suspicious mind, it would be easy to suspect these files were placed in these achives deliberately. These archives were sealed for many years and possibly could have remained sealed even longer. The archives could possibly be an excellent repository for items never meant to see the light of day. The bulk of the FBI reporting during the days following the Kennedy assassination seem to display the wide-spread effort coupled with enormous frustration. 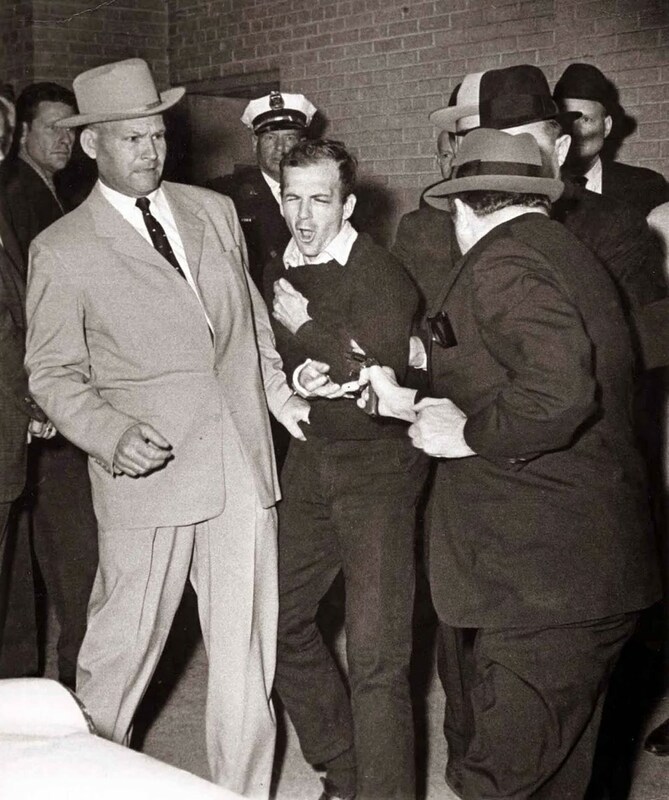 Most of the reports from field offices include efforts to find anyone who knew anything about Oswald or Jack Ruby. 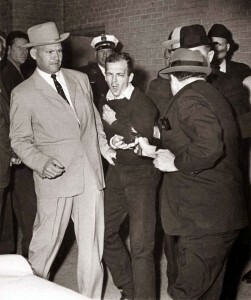 Most of the field office reports indicated specialized efforts — the Dallas field office, for instance, focused on anyone connected with Oswald, and any connections to Cuba, while the Chicago field office concentrated on organized crime, and any connections Ruby may have had when he lived there. Other offices were looking at the Ku Klux Klan, and other white supremacy or neo-Nazi groups. Other field offices seemed to do their best to generate reports to send to headquarters, no matter how trivial. The Los Angeles field office spent considerable time running down former strippers who had worked for Ruby in Dallas, but had moved to LA. The Newark (NJ) FBI office may have had the oddest report. It seemed that a man in Mays Landing NJ received a letter with the return logo of Parkland Hospital on the envelope (Parkland Hospital was where President Kennedy was rushed to after the shooting, and where he subsquently died). The local rural free delivery mail carrier noticed the return address, and called the FBI. The Newark field office placed the man’s mail under surveilance. Using information they gathered from a cooperating local postmaster, if seemed the man’s story was that he was involved with a poetry group and was a judge of a poetry contest. The man indicated (to the mail carrier) that he received poems in the mail from around the country to judge. While he was not asked directly, a possible explanation for the Parkland Hospital envelope was that an employee there was writing poetry, and simply stole some of the hospital’s envelopes to use. Mark Lane, a New York attorney, was one of the earliest conspiracy theorists about the Kennedy assassination. He believed the Kennedy murder was a conspiracy, and began giving public lectures about his theories within weeks after the assassination. He would later write a book entitled Rush to Judgment, which was a best seller and spent twenty-nine weeks on the New York Times best seller list. From the archives, the FBI was clearly interested in Mark Lane. They planted confidential informants at many (if not all) of his lectures to report back to the FBI what was said at the lectures. The FBI also showed a susbstantial interest in New Orleans District Attorney Jim Garrison, who’s investigation into the assassination of President Kennedy was the basis for the movie JFK. Several files indicate FBI efforts to learn anything about what Garrison was doing in his investigation from any and all sources. The FBI files are often of questionable value. Many times the “file” is simply a cover sheet or cover letter referencing an item that is not to be found in the database. Overall the CIA files, many of which have never been seen by the public before, are more extensive than other agencies. Some of the files run for hundreds of pages and are quite detailed. The CIA files included files on Martin Luther King similar to the FBI files, which some might find odd inasmuch as the CIA was supposedly prohibited from domestic surveilance. The CIA also had files on Howard Hunt and James McCord, both former CIA operatives involved in Watergate, and strangely, a file on Claire Booth Luce, a prominent Republican writer, ambassador, and wife of Henry Luce, the publisher of Time, Life, Fortune, and Sports Illustrated. An extremely odd CIA file is called The Unsanitized Diem Report, about Vietnamese President Ngo Dinh Diem, who was assassinated in Vietnam just a few weeks before President Kennedy. The report. never released before, is unsigned, marked “Top Secret – Eyes Only” and it is noted there were no copies made, but it would be hand-delivered to ? (not stated). Reading the fifty-one page report, it suggests that the United States began supporting a coup of Diem during the summer of 1963. It also suggests, through the documents presented, that Kennedy was kept “in the loop” on coup activities right up until the time Diem was assassinated. By the same token, it appears Kennedy was receiving conflicting information from different agencies, each of which seemed to have differing opinions on the regime in Saigon. The report goes on much further, but strongly indicates the US goverment was complicit, if not directive in the ultimate assassination of Diem. The President’s actual in-depth knowledge of all this is a bit obscure. 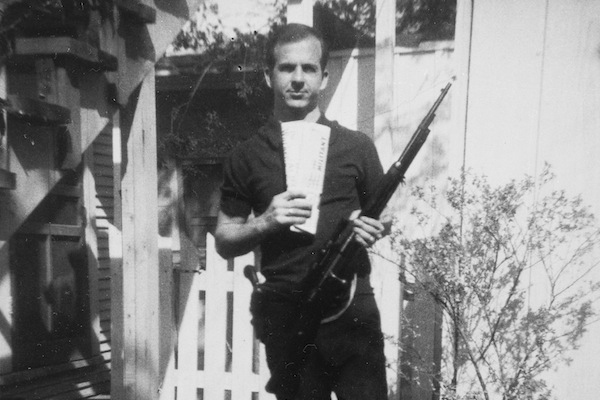 It is unclear why this mysterious report is in the Kennedy Assassination archives. This seems to be another seemingly unconnected piece of information that found its way into the files. The closeness in time of the assinassination of Diem and Kennedy however, does provoke thoughts of a possible link to some conspiracy theorists. During 1976-1978, the House Subcommittee on Assassinations (HSCA) conducted an investigation into the Kennedy Assassination. The committee was created to review the findings of the Warren Commission (1963-64), and to look into new information. Part of the reason for the creation of the committee was significant public perception that the Warren Commission had not adequately investigated the assassination of President Kennedy. Among other things, the committee re-visited ballistic and photographic analysis, as well as pathology and fingerprint reports. The committee conclusions were in marked contrast to the Warren Commission report. There are several committee documents in the Archive release. One such document, a fifty-four page deposition from a former CIA employee probes the belief among CIA employees that Lee Harvey Oswald was, in fact, a CIA employee. HSCA Deposition from CIA employee. A memo from the Secretary of Defense (OSD) outlining contingency plans for an invasion of Cuba: Operation Mongoose: Invasion of Cuba. This plan was supposedly killed by Defense Secretary McNamara in mid-1962. But strangely enough, it pops up over a year later, being activated, this time without an operational name. This becomes even more interesting when coupled with a memo from the Joint Chiefs of Staff (JCS) discussing CIA requests for military support in the form of personnel, ammunition, training facilities and even Navy SEAL teams, on July 29, 1963, just four months before Kennedy was assassinated: DOD Operations against Cuba (1963). The memo states that several of these requests had been fulfilled, including deliveries of ammunition and boats. Operation Mongoose was presented to then Secretary of Defense Robert McNamara in March of 1962, but he rejected the plan. It appears, however, that more than a year later, the military and the CIA were actively in training for such an invasion. Then, suddenly, it all just disapeared. Cuba was never invaded, and no more memos can be found. What happened? Who stopped this clandestine mission that conceivably could have led to all out war with Cuba? We don’t know, and perhaps we never will. 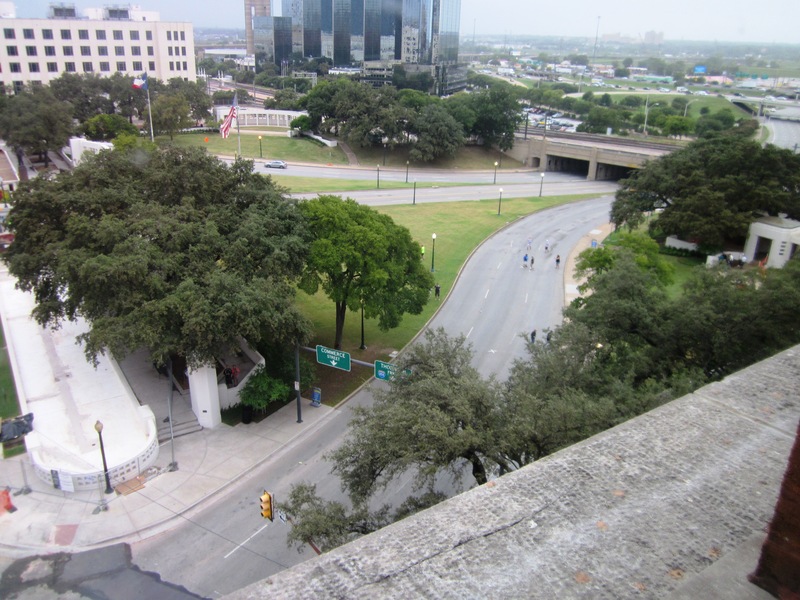 There were several balls in the air during the few months before the Kennedy assassination. In addition to the apparent clandestine actions directed against Cuba, the situation in Vietnam was in turmoil. Both Cuba and Vietnam offered the potential to become international crises. Kennedy’s cabinet seemed to be at odds with each other over the handling of both of these areas. It appears he was receiving conflicting information from the opposing parties, and some actions may have been taken without his complete knowledge or approval. Interestingly, it seems that some of the same “players” in the CIA and DOD were connected to both the potential invasion of Cuba, and the Diem assassination. Of the more than 20,000 data entries in the Archives, I reviewed somewhat over 1200, just barely scratching the surface. A detailed review and the following of “threads” that emmanate from the documents could possibly take years to pursue. I doubt I will dig into these files much farther; it is decidedly time-consuming, and can be fairly tedious. In all, it was a fascinating experience. While many of us have read accounts and seen movies about the Kennedy assassination, we generally don’t have access to raw data. Memos and reports written in real time concurrent with the event present a vivid picture, one not found in history books. Like many people, I have had my doubts and speculations about the official findings. I thought some of the “conspiracy” theories were often overwrought and sometimes silly. Reading these documents, I’m not so sure. There seem to be far too many unanswered questions, and after reading the documents I have more questions than ever before. Was there a “smoking gun” buried in these files? I didn’t see one. The documents strike me as a jigsaw puzzle; if correctly connected, they may create a picture. The shear volume of data, however, seems to make the completion of that puzzle difficult to impossible. I’m fairly sure we’ll never know the absolute truth in our lifetimes. That being said, digging into the archives of one of the most mysterious crime stories in modern history was, as they say, “quite a trip”.